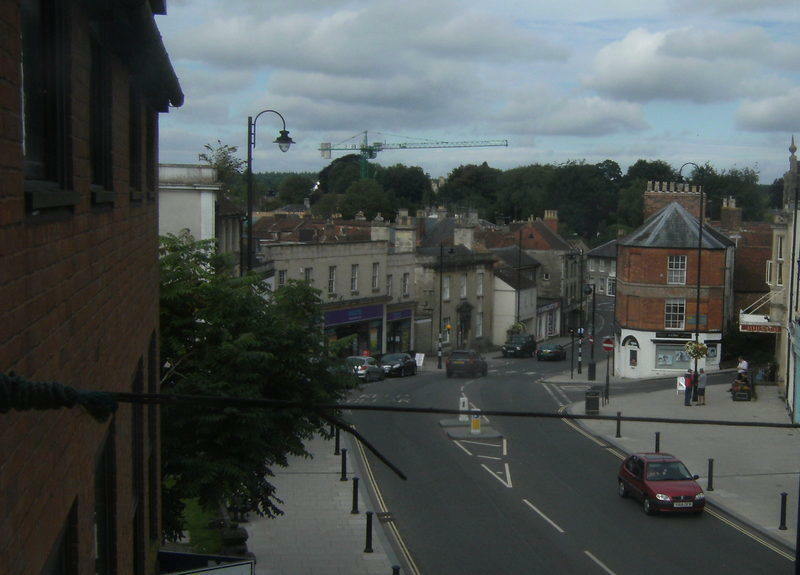 WILTSHIRE Council has responded to Mike Heaton's on line petition asking for action on the High Street scaffold scandal with the following lengthy statement explaining why it can't take action. I refer to your petition raising concerns in respect of the above property. The Council has also been monitoring the building for a number of years, with a number of colleagues from different departments being involved. We are equally frustrated by the lack of progress on site. However, regrettably, the powers that we have available to us to influence the situation are limited. Repairs to the roof and parapet were carried out following the erection of the shoring scaffold and, although it is not clear whether other works recommended by the owner’s second structural engineer were carried through (in order to allow the removal of the scaffold), the presence of the scaffold itself is sufficient to ensure the structural stability of the building. The owners have an extant planning permission and no further permission from the planning authority is required for the scaffold, which remains in place. The delay in implementing the permission suggests that the owners may have found themselves in a situation where the approved scheme is no longer economically viable. In such a situation there is no legislation available which can force an owner to implement the planning permission which has been granted and I’m afraid that it is a common problem that such sites (both listed and unlisted) may remain dormant for extended periods of time. Provided that the site is kept in a relatively tidy state and does not cause an immediate danger to the public, there may be limited avenues available to a local authority to move the situation forward. With regard to the current state of the building, colleagues in the enforcement section have concluded that the site does not constitute an ‘untidy’ site from a planning perspective and that no action can therefore be taken under a Section 215 Notice. Colleagues in Building Control retain an ongoing interest in the property as a potential ‘Dangerous Structure’. However, at present the presence of the scaffold is sufficient to meet their legal requirements and there is limited further action that they can take, other than possibly requesting that the ground floor of the scaffold be secured to prevent unauthorized access to the remainder. stability and protection for a building on a temporary basis by means of devices such as propping, shoring or temporary roof coverings. The only other recourse would be a full Repairs Notice which is the first formal stage of the process for compulsory purchase. There is no interim allowance in this case for the Council to enter the property and carry out works if a notice is not complied with and the only option is to continue towards the CPO. Unfortunately the resources and costs involved in pursuing such a process, which can often take several years, are very substantial. In the current economic climate the Council’s resources are obviously severely constrained and those available for conservation are minimal, such that there is currently no dedicated budget or resources in terms of manpower, available for conservation projects of this nature. As a result in these circumstances our principal approach must, of necessity, largely be one of persuasion. We understand that a new structural survey has been commissioned to determine works required to ensure the structural stability of the building. We do need to give them time for this report to materialize and we will then be in a better position to place pressure on them to carry out any works which are immediately required. 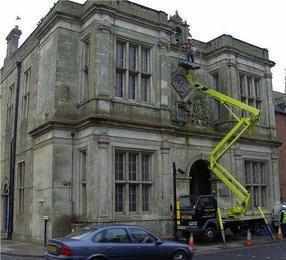 Hopefully we can manage at least to persuade them that carrying out the works to allow the scaffold to be struck. However, should they choose to continue with the scaffold in place, I’m afraid that there may be little that we can do to force the issue. Whilst I am aware that the above is unlikely to be the response that you are wishing for, I hope that it is at least of assistance in clarifying the current position.